Historical Marker #1804 in Jenkins notes the history of this Letcher County coal town. In the last decade of the 19th century coal production by industrial companies began in earnest. A rapidly industrializing United States needed a fuel source to power its vast machinery. Kentucky coal provided much of that power. In Letcher County, Kentucky, coal companies such as Consolidation, Elkhorn, and South-East began to buy land and mineral rights from many of its citizens during the first decade of the 20th century. Near where rich coal veins were found company towns sprang up, some almost overnight. Coal company towns like Jenkins, Fleming, and McRoberts emerged that provided housing for the miners, who often were local men, as well as foreign immigrants, and African Americans from the Deep South. Jenkins was incorporated in 1912 and was named for Baltimore banker and director of Consolidation Coal Company, George C. Jenkins. 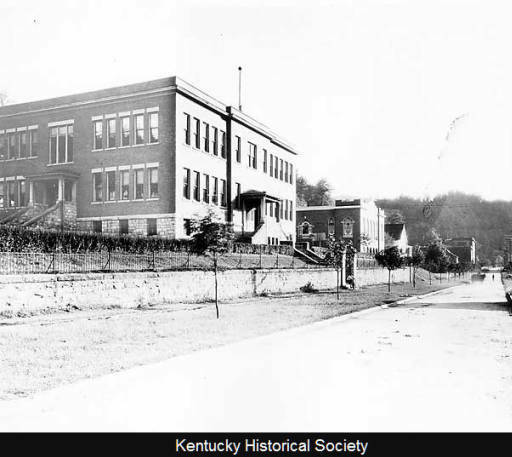 The town quickly grew due to the large workforce employed by Consolidation and a line of the Lexington and Eastern Railroad that soon extended into Letcher County. Businesses followed that hoped to capitalize on the increased population of the area. When coal production dipped between the 1950s and 1960s Jenkins population dropped drastically. People moved looking for work, often to industrial centers of Ohio and Indiana. The draw of the mountain though has brought many of those that moved away in those years back home in their retirement years. 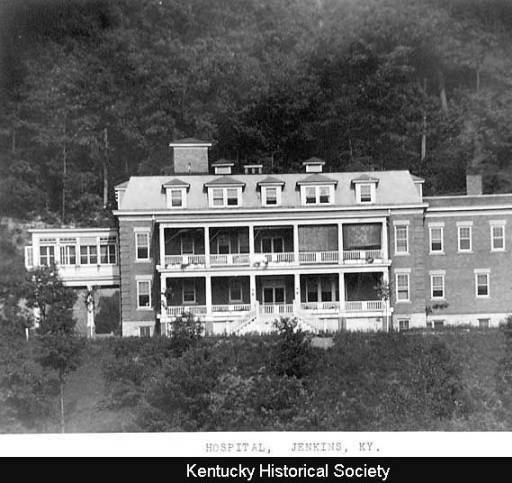 Jenkins Hospital: The Jenkins hospital is shown in the early 20th century photograph. Courtesy of the Kentucky Historical Society. Main Street in Jenkins: This early 20th century photograph shows Main Street in Jenkins. Courtesy of the Kentucky Historical Society. Main Street in Jenkins: This photograph provides another view of Main Street in Jenkins. Courtesy of the Kentucky Historical Society. 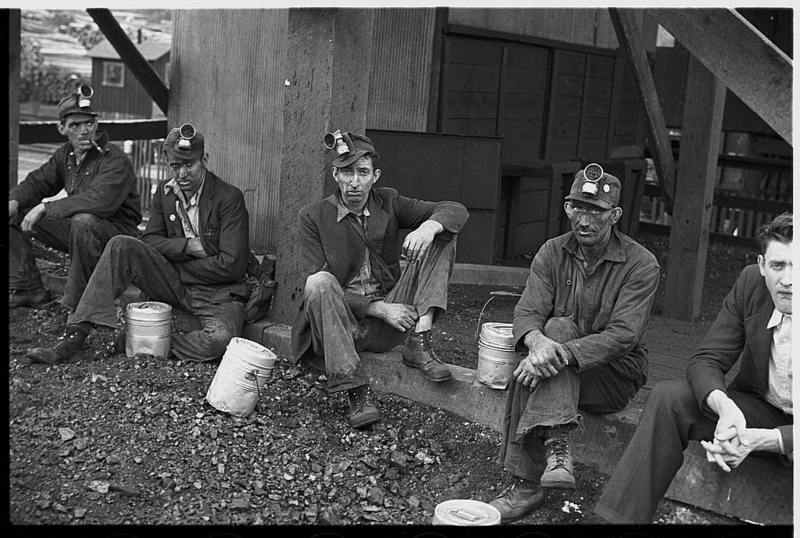 Jenkins, Kentucky Miners: This photograph shows a group of Jenkins, Kentucky coal miners in 1935. Courtesy of the Library of Congress. 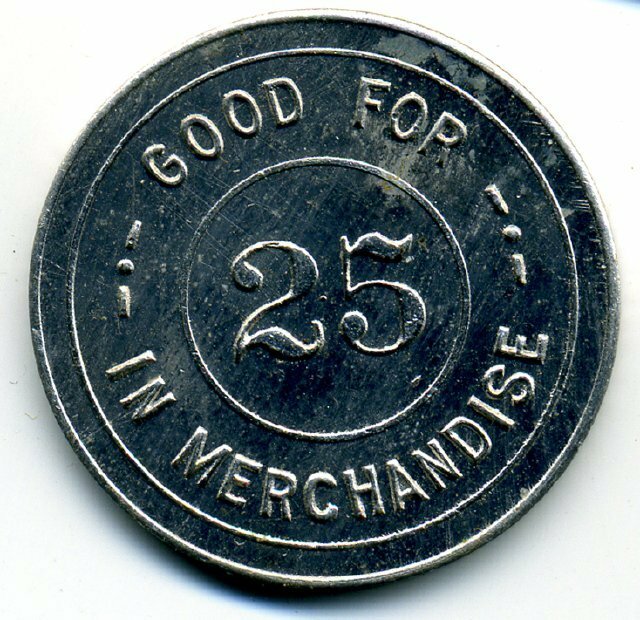 Scrip: Scrip tokens like this were used by coal workers to purchase goods at the coal company stores. Courtesy of the Kentucky Historical Society. 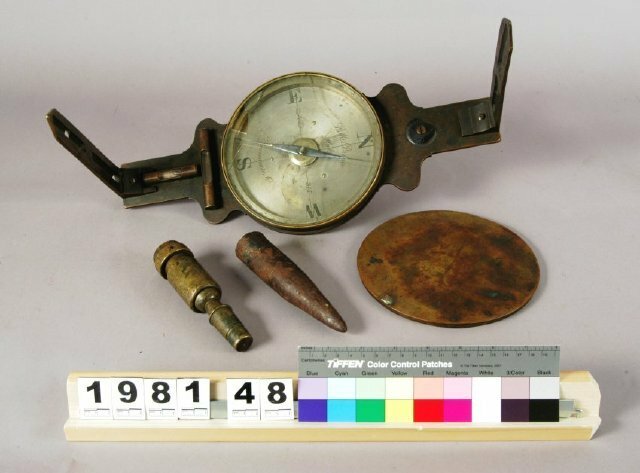 Surveyor's Compass: This compass was used by Clay Williamson to survey lands in eastern Kentucky counties. Williamson often worked for coal baron John C.C. Mayo. Courtesy of the Kentucky Historical Society. 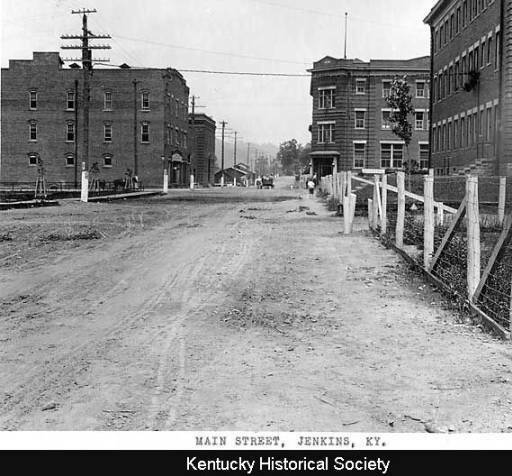 Tim Talbott, “Jenkins,” ExploreKYHistory, accessed April 22, 2019, https://explorekyhistory.ky.gov/items/show/233.